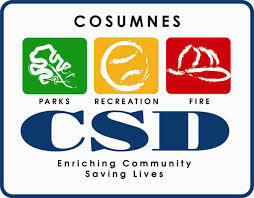 With summer vacation just around the corner, The Cosumnes Community Services Distroct (CCSD) will be offering Sumer Day Camps. Teen Summer Adventure Camp is a day camp for students entering grades 7-9. The camp operates out of The Grove Teen Center inside the Wackford Community Complex (9014 Bruceville Road). Camp and runs weekdays from 8 a.m. to 6 p.m. from May 31 to August 5. Half-day sessions are also available. This teen day camp offers activities that incorporate fun weekly themes including indoor and outdoor games, art projects, contests, sports and daily swimming at the Wackford Aquatic Complex. Full-day registration includes weekly field trips to Strikes Bowling, Sunsplash, Crocker Art Museum, Surf Extreme, the movies and more. Kid Central Summer Day Camp is an outdoor camp for children currently enrolled in Kindergarten through sixth grade. It is located at the Youth Center at Elk Grove Park (9922 Elk Grove-Florin Road) and weekdays from 7 a.m. to 6 p.m. from May 31 to August 5. This elementary day camp offers games, arts and crafts, sports, science fun, playground adventures, daily swimming at the Jerry Fox Swim Center, and special events based on awesome themes. Six field trips are offered to participants for an additional registration fee and include adventures to Crocker Art Museum, Yolo County Wildlife Basin, Camp-a-Palooza at Folsom Sports Complex, and more. For more information and registration fees, visit www.yourcsd.com. Register by phone at 916-405-5600 or 916-405-5300, or in person at a CSD registration location: Parks and Recreation Department Office, 9355 East. Stockton Blvd., suite 185; or the Wackford Complex, 9014 Bruceville Road.